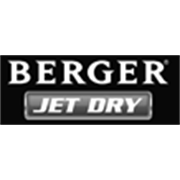 Berger Jet Dry Active Clean is formulated to clean tough oil and grease stains from concrete and paved surfaces. 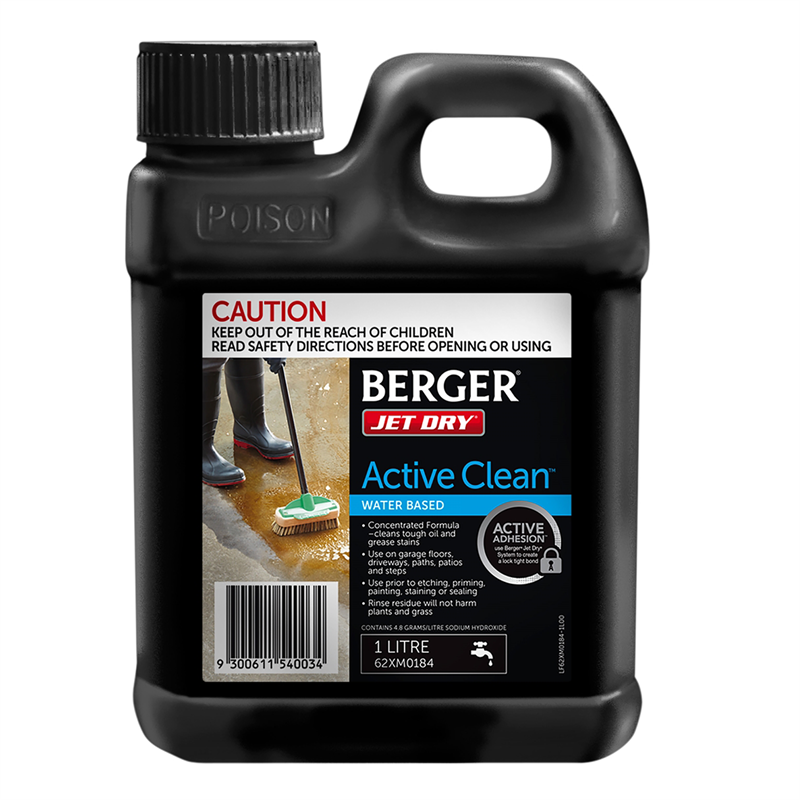 Recommended for use prior to etching, painting, staining or sealing, it can be used at full strength to clean heavy grease and oil stains from garage floors, driveways, paths, patios and steps. For general purpose cleaning and previously painted surfaces, dilute in accordance with instructions on the pack.